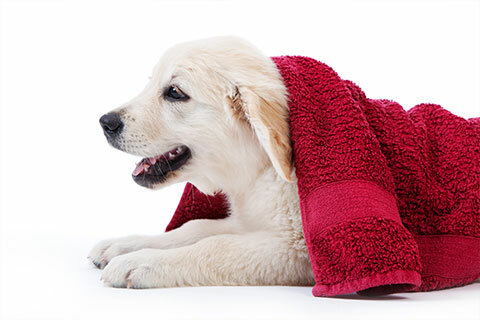 Our self-service dog wash by Evolution has become a customer favorite! The Dog Wash features a wash tub that elevates, so you do not have to bend over or struggle with getting your dog into the basin. 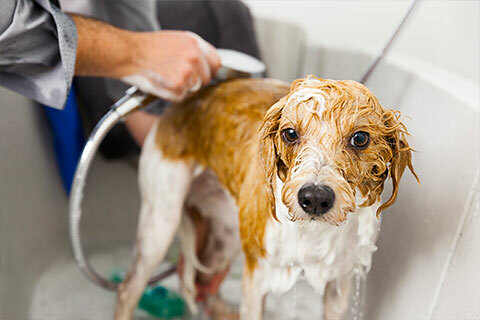 To make washing your pooch as easy as possible, the washing and conditioning products are dispensed right through the rinse hose. 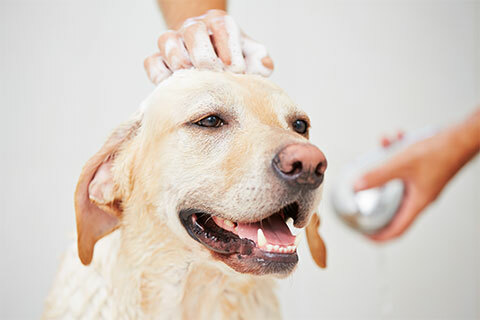 And, for your convenience, all forms of payment are accepted for our dog wash services! 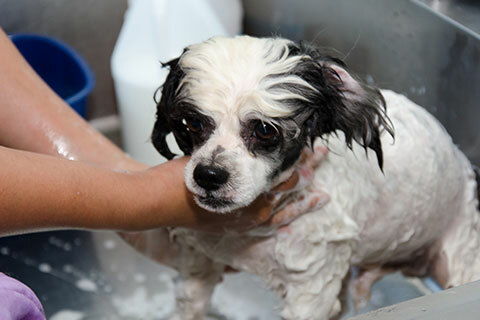 To top off your wash experience, our employees clean up the mess left behind that would otherwise be in your own tub! The products we use are by TropiClean and are all natural and soap-free.